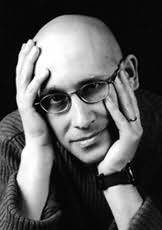 Clem Martini is a Calgary-born award-winning playwright, screenwriter and a writer of short fiction. He currently works with youth as a drama consultant Clem was born in Calgary, Alberta, and lives there with his wife and two daughters. through the charitable organization Woods Homes. He also teaches drama at the University of Calgary.